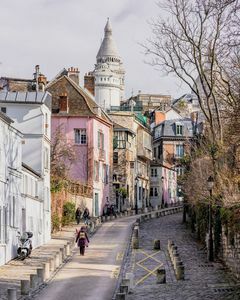 Boulevard de Rochechouart, the metro station "Anvers"
Montmartre is considered to be the most magnificent district of Paris because it concentrates everything that France is loved for: wine, delicious food, art and erotica, free spirit, and creative freedom. 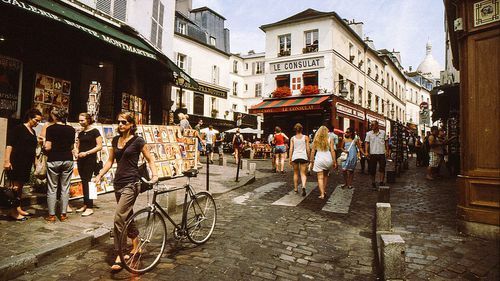 Moreover, without Montmartre, there would be no Paris the way it is known to the rest of the world today. During our tour, we will guide you through cobblestoned pedestrian streets and visit the most authentic places of Montmartre. We will introduce you to some of the most famous personalities who lived in Montmartre: artists, musicians, and cabaret dancers. 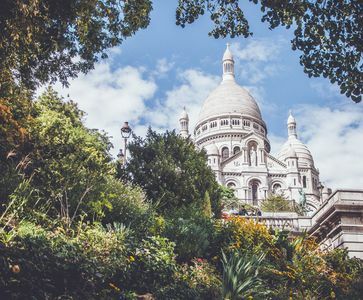 Our Montmartre Tour Guide will tell you about the bohemian lifestyle in the 20th century, about the life of modern Parisians, the history behind French Can-Can dance, and also about one of the most valuable treasures of France, its location, and much more. 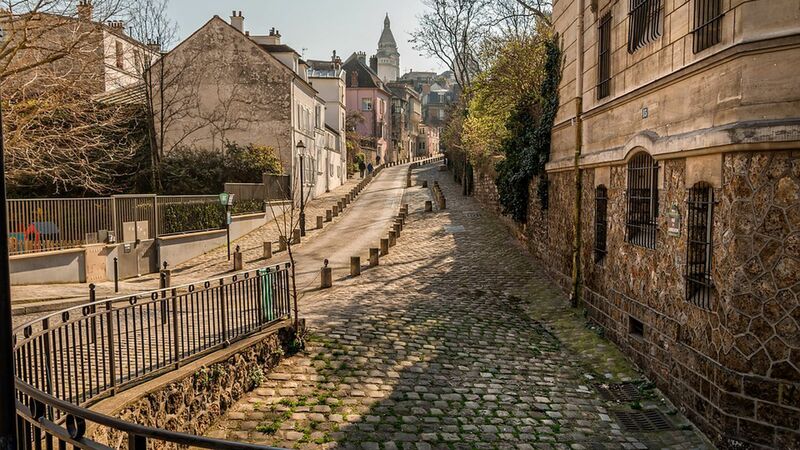 Want to know the secret spots in Montmartre or know where local residents eat and drink? 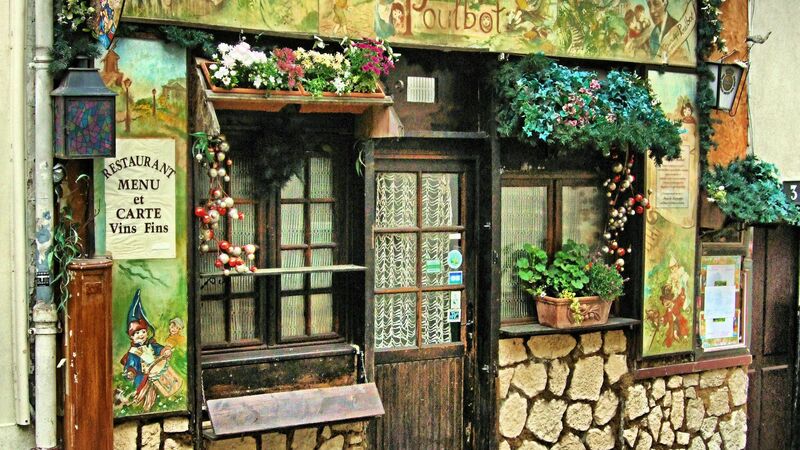 Our tour is designed to show you many of the hidden gems of Montmartre. 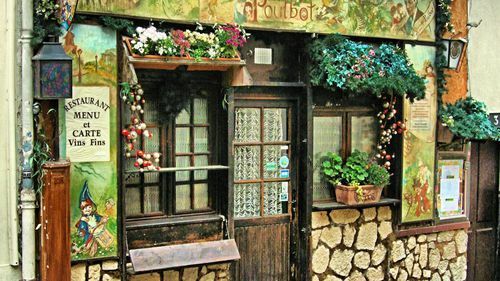 You will find out about one of the oldest cinemas in Paris with unusual interiors, about grocery stores with food so good, that it brings locals from all over the city? With our self-guided tour feature, you will be able to plan even a longer tour through the Montmartre quarter. The tour route starts from the "Anvers" metro station and ends at the observation deck of the famous Sacré-Coeur - the largest temple in Paris. 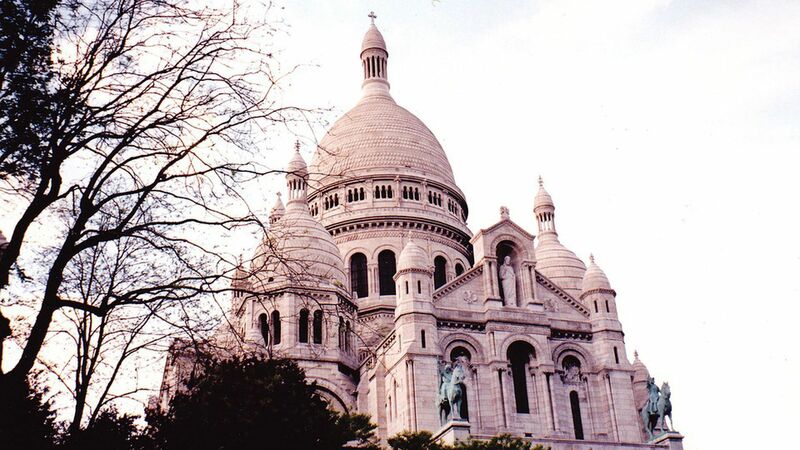 Please note: the tour price does not include the admission fee to the temple. Start at Boulevard de Rochechouart, the metro station "Anvers"
Екатерина П. Can't imagine my life without traveling!